Dimensions 0.75 by 6.50 by 9.75 in. Amazon.com description: Product Description: Visionary Selling shows you how to sell effectively to top decision makers by going beyond the hard sell of a specific product to aligning with the broader vision of top management. 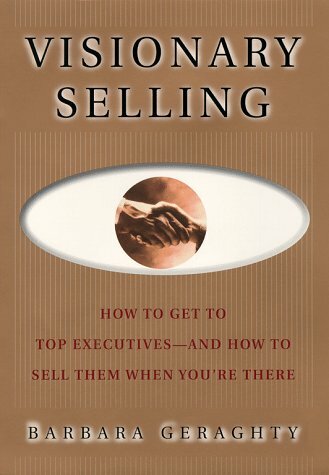 This book explains that the best way to sell to a CEO or other top-level executive is to learn to think like one.